Set of 12 bowtie clothespins. 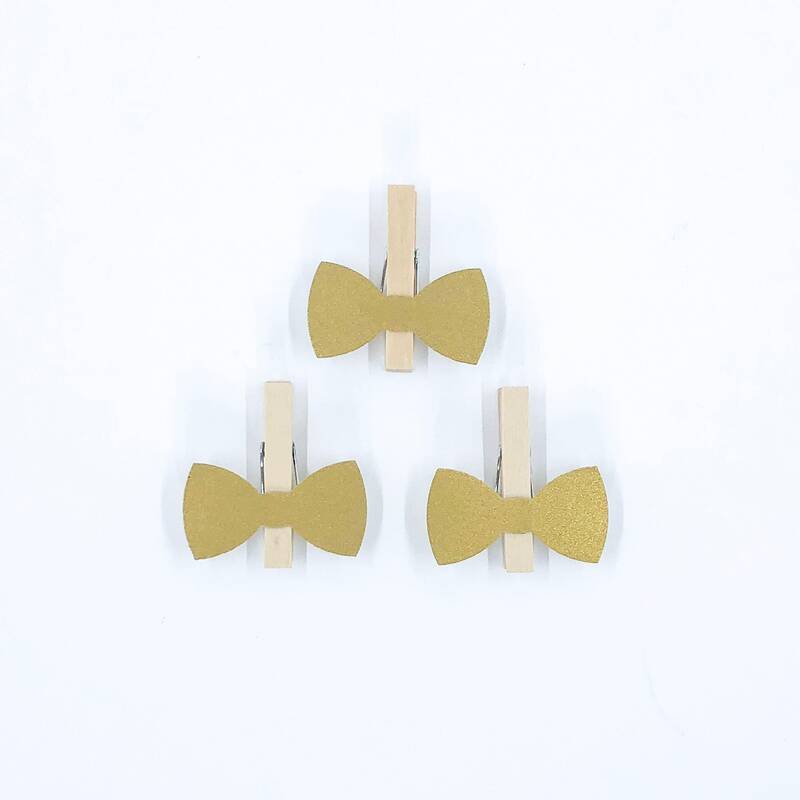 Add a glitzy touch to your bow tie themed birthday party, baby shower or wedding with a set of mini bow tie clothespin clips. The pins measure 1 3/4 inches long. Not full size clothespins. The bowties measure 1 3/4 inch wide by 1 inch tall. The bowties are cut from a thick gold cardstock. Each order is made to order and exact shade may differ slightly.